Inspired by architectural structures, particularly during construction or deconstruction. Amy’s designs explore the importance of links and structure within buildings whilst challenging the way we see a traditional building material. The predominant materials in this collection are silver, cement and moss. 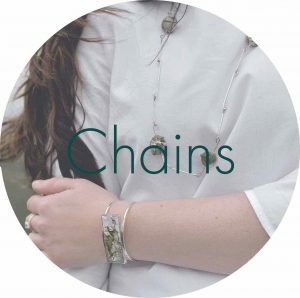 Chains was the first collection Amy developed after leaving university and close ties can be found between the designs and her graduate work.